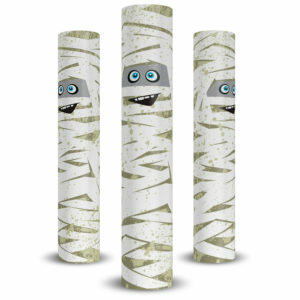 Made of high quality weather proof vinyl Frankenstein will add a bit of whimsey to your Halloween Decor, On one, two, or multiple round and square columns — or even palm trees — the Frankenstein Huggits™ Column Wraps provide a unique style to your holiday home decorations. The sizes listed are circumference, and can be adjusted by our shoelace fastening system. MADE IN THE USA. Halloween is on the way! 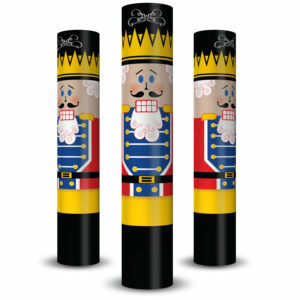 Check out our holiday Halloween Huggits™ Column Covers. 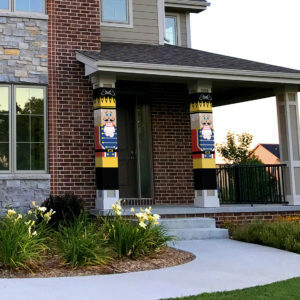 Made of high quality weather proof vinyl, That means rain, snow or ice can’t hurt your Huggits™ Column Covers. 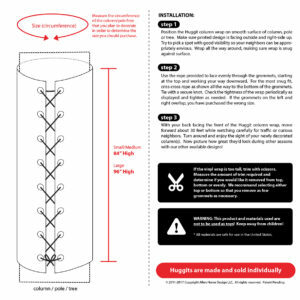 Huggit™ Column Covers are a new and easy way to decorate. 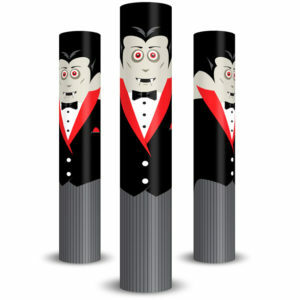 Designed to frighten without scaring – our Frankenstein Column Cover blends with any Halloween decor. 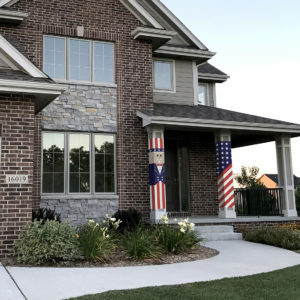 Be the first in your neighborhood to show off our decorating skills by adding a Frankenstein Column Cover to one, two, or multiple round and square columns — or even palm trees. 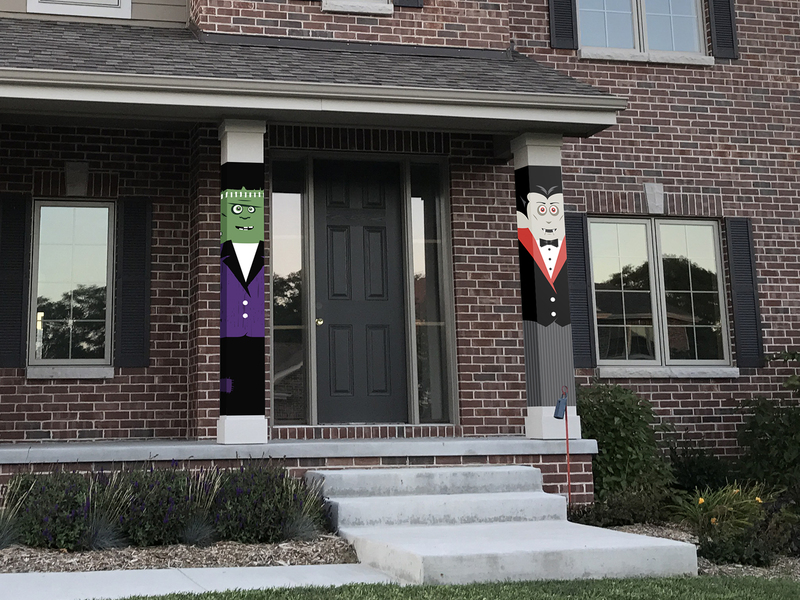 This holiday Column Cover provides a unique frightening style to your holiday home decorations. 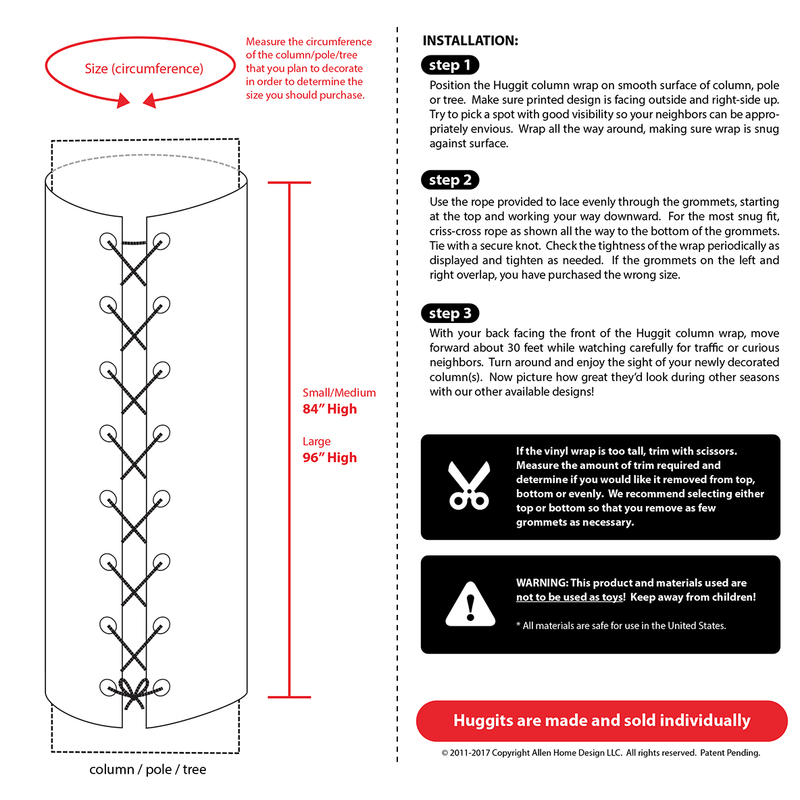 Our Huggit™ Column Covers have laces up the back like a shoe, enabling them to be fitted on different size columns. Each column cover can be trimmed 6″ to fit on the top and bottom. Heights range from 84″ – 96″ tall depending on the circumference size. 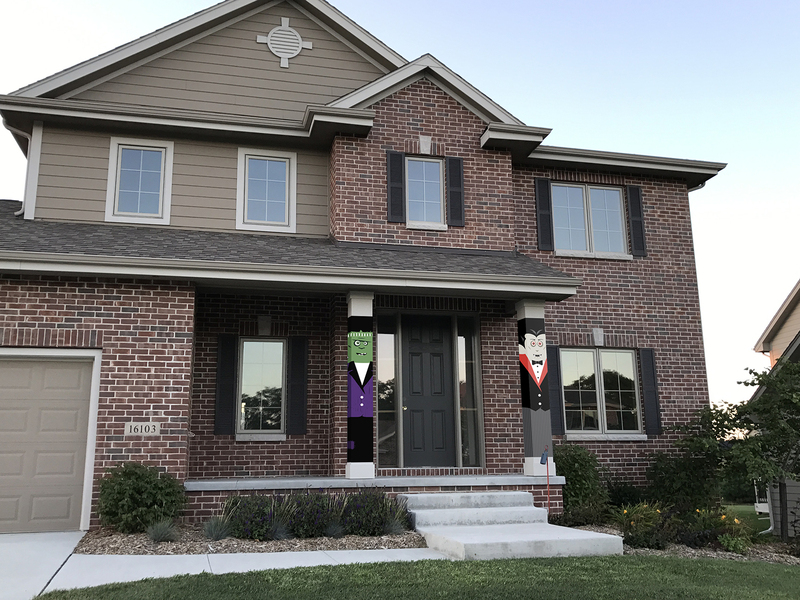 Be sure to measure your column before ordering. To measure, use a flexible string or measuring tape and “hug” your column to get the circumference. 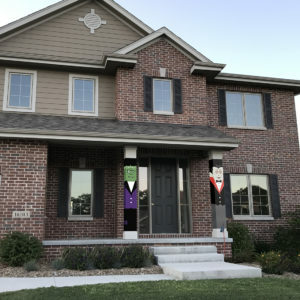 Some of our customers have trimmed off the entire leg section to mount on their half rail/half column porches. Use your imagination. 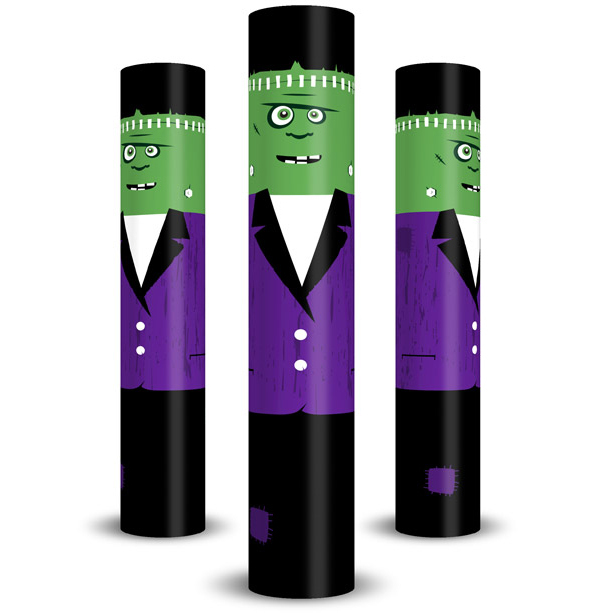 Our Huggits™ Column Covers can also be custom made to any size or design you want. They are also a great fundraising opportunity for school and sports teams. 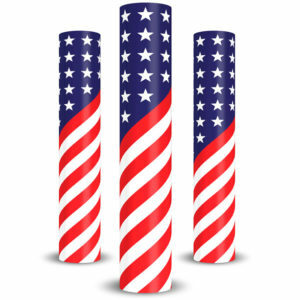 Huggits™ Column Covers are as versatile as they are functional and beautiful. Besides our Frankenstein, be sure to check out our Dracula Vampire, as well as our other holiday column covers. Happy Decorating!